A NEW grazing strategies program launched today has the potential to improve producers’ skills, knowledge and confidence to make changes. 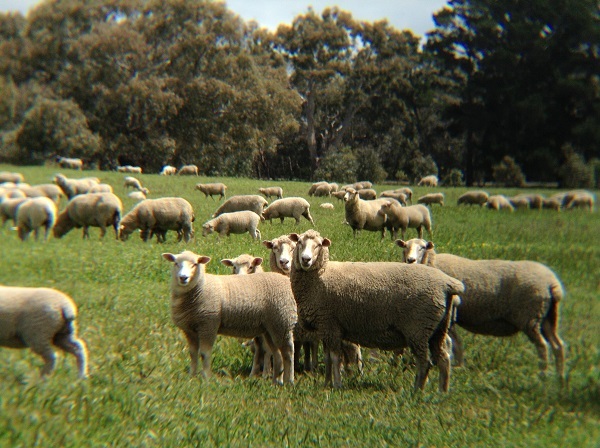 The Whole Farm Grazing Strategies program has been developed by Meat & Livestock Australia, Australian Wool Innovation and Victoria’s Department of Economic Development, Jobs, Transport and Resources. The course takes a new approach to extension and adoption, and will be conducted by approved trainers over two years, in six or seven one-day sessions each year, across Victoria, South Australia, southern New South Wales and southern Western Australia. DEDJTR’s director of Agriculture Services, Dougal Purcell, said a pilot of the WFGS course showed that producers improved their skills and knowledge by 47 per cent and improved their confidence to make improvements on their farm by 48 per cent. “Some of the changes that producers implemented included improved grazing management practices, setting up rotational grazing systems, more informed financial budgeting and growing improved perennial species to increase production,” Mr Purcell said. “This course can make a real difference to on-farm profitability”. Livestock producers across Victoria who are looking to make strategic changes to their operation are being encouraged to participate in the new training program, which takes a big-picture approach to improving profitability and sustainability. Trainers approved to run the course so far include nine in Victoria, three in southern New South Wales, two in South Australia and four in Western Australia. MLA livestock productivity general manager Dr Jane Weatherley said the program delivers information, tools and decision-making processes from the EverGraze project and other related programs. “The program recognises that every farm is unique and producers need to decide the solutions they need to be more profitable and make life easier. AWI fibre advocacy and eco-credentials program manager Angus Ireland said the program is mutually beneficial for livestock producers and the environment. “The training package helps livestock producers prioritise what part of their operation they want to work on and give mutually beneficial outcomes for their business and the planet. Andrew Speirs, Meridian Agriculture, Casterton, aspeirs@meridian-ag.com.au, 0428 685 172. Graham Lean, Agrivet Business Consulting, Hamilton, graham@agrivetbusiness.com.au, 0428 838 262. Tim Leeming, Paradoo Consult, Pigeon Ponds, pconsult@bigpond.com, 0427 797 242. Stuart Warner, AGristology, Beechworth, skwarner@iprimus.com.au, 0438 331 768. Lisa Warn, McKinnon Group, Werribee, l.warn@unimelb.edu.au, 0418 748 607. John Bowman, DEDJTR, Leongatha, john.bowman@ecodev.vic.gov.au, 0429 196 337. Laura Garland, DEDJTR, Hamilton, laura.garland@ecodev.vic.gov.au, 0400 580 844. James Whale, Meridian Agriculture, Casterton, jwhale@meridian-ag.com.au, 0428 374 046. Suzanne Briggs, DEDJTR, Rutherglen, suzanne.briggs@ecodev.vic.gov.au, 0400 884 813. Tim Prance, T. Prance Rural Consulting, Victor Harbor, t.prance@bigpond.net.au, 0427 812 655. Simon Ellis, Ellis Farm Consulting, Verdun, simon@ellisfarm.com.au, 0402 027 235. Rob Inglis, Elders, Wagga Wagga, rob.inglis@elders.com.au, 0439 739 055. David Brown, Holmes Sackett, Wagga Wagga, davidb@holmessackett.com.au, 0439 448 159. Jim Virgona, Graminus Consulting, Wagga Wagga, jim@graminus.com.au, 0431 137 144. Lawrence Carslake, Farmanco, Narrogin, lcarslake@farmanco.com.au, 0407 441 157. Brent Pritchard, Farmanco, Albany, brent@farmanco.com.au, 0488 428 333. Alana Starkie, PlanFarm Pty Ltd, Manjimup, alana@planfarm.com.au, 0406 494 927. Mark Allington, Icon Agriculture, Darkan, mark@iconag.com.au, 0428 927 034. This looks very like the Prograze course that has been run in NSW since 1993 and been completed by over 8000 producers. Why do we spend money developing new things when old proven programs achieve the same benefits? Victoria and South Australia run the course in the 90’s then stopped.